What is a Print Assessment? A blog post, The Printer We Need, got me thinking about how much office equipment like laser printers and copiers is taken for granted. The author bemoans the fact that printers don't work. Not everyone wants to print color or color photographs. Ink's expensive (that's true). And that someone needs to produce a low-cost, reliable black and white printer for people like himself to buy. He goes on to suggest what he wants – which basically seems to be something that's small, attractive, and has features that I'm not sure fit with small and attractive. Mr. Dash (the author) even says he'd be willing to pay a small monthly subscription fee for mail-delivered toner (I liked that part as that's part of our managed document services offering). However, he doesn't understand that given the extremely low volume he's talking about that a monthly fee would be either more expensive than necessary or more trouble than it's worth because toner lasts for years and thousands to tens of thousands of documents. I don't want to pick on Mr. Dash for wanting the product he wants. But it did make me realize how little most decision-makers understand about some of the equipment they rely on to run their businesses. The comments section confirmed this knowledge gap. I didn't read them all, but there was a split between comments saying “yes, please” and the other half explaining what he wants already exists. We don't focus on selling personal printers. However, a quick Google search will reveal multiple excellent options – and if you wanted a low-volume multifunction copier, we can help you there. Don't assume that buying a laser printer, or a color printer, or a copier, or an MFP, or even fax capability is simple. Of course, it can be. 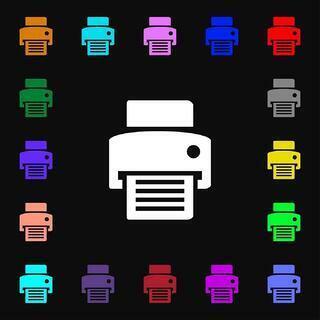 If you only need to occasionally print black and white documents, find a low-cost laser printer that uses toner and buy one. They're simple. They work. They won't cost you and arm and a leg. Do you need a single device or multiple devices? How many pages will you be printing monthly? Do you also need to copy? Do you need black and white, color, or both? Do you need to restrict color printing (it's more expensive) by individual or department? Where should they be placed? Who's going to maintain them? Do you need to staple, fold, or create booklets? Do you need to scan documents? How many? How often? Can your IT staff successfully troubleshoot any issues? How much time will that take weekly? As you see, it gets a little bit more complicated. Don't assume because copiers and printers are everywhere that it's always a simple decision to purchase the first one you see. Like any technology, ensuring that you get the right equipment will save you money, save staff aggravation because the equipment will work, and help your business achieve it's goals. They aren't just copiers (or printers). They're tools that help your business succeed. Treat them accordingly. Visit our Office Copy Machine Ultimate Resource Page for additional info on pricing & costs, and just about anything else copy machine related. As President and founder of AIS, I am passionate about growing our business and serving our customers. I'm proud that we are considered one of the fastest-growing companies in America. We have been named by Office Dealer magazine the elite dealer of the year and most recently by ENX Magazine as an elite dealer for 2017. Our partnership with Kyocera is strong and we have been an elite dealer for them. We recently became an authorized dealer of Xerox in their Document Technology Partner Program. Before founding AIS, I was President of Toshiba Business Solutions. I enjoy staying active, both physically and professionally. Charitable endeavors include: The Elizabeth Glaser Pediatric AIDS Foundation, Safe House, Christian Children’s Fund as well as other faith-based charities.